Posted January 25th, 2019 by West and Hill & filed under General News. We started a new extension this week and estimate 8 weeks for it’s completion. It’s fingers crossed on site hoping the Beast from the East can hold off until we have put the roof on! 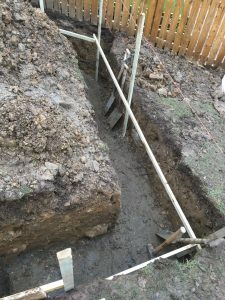 There was difficulty the first few days of digging and we resorted to finishing the job by hand. Even with modern day machinery, its funny how the good old fashioned way gets you there in the end. We will keep you posted on the progress of the extension over the next few week. Wishing you all a great weekend! 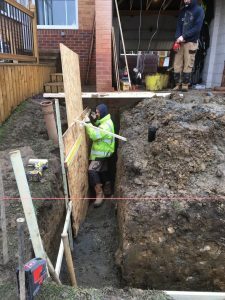 West & Hill Ltd was formed in 2014 by Will West and Rick Hill, two good friends who have worked together over a number of years in the construction industry. 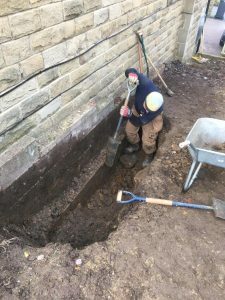 Working in and around West Yorkshire, undertaking projects both small and large and gaining huge amounts of experience along the way. As Builders & Carpenters, our work includes extensions, renovations and conversions. 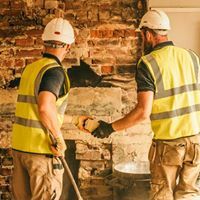 Potential clients can be assured that you will receive a professional service from a company that is a member of the Federation of Master Builders and Trustmark. The pride we take in our work is evident from the reviews and feedback we receive via trusted review sites like Trustpilot and Checkatrade.